So far in this series I have shared my Top 10 Disney Fastpass Tips, and How to Make Your Magic Kingdom Fastpass Selections. 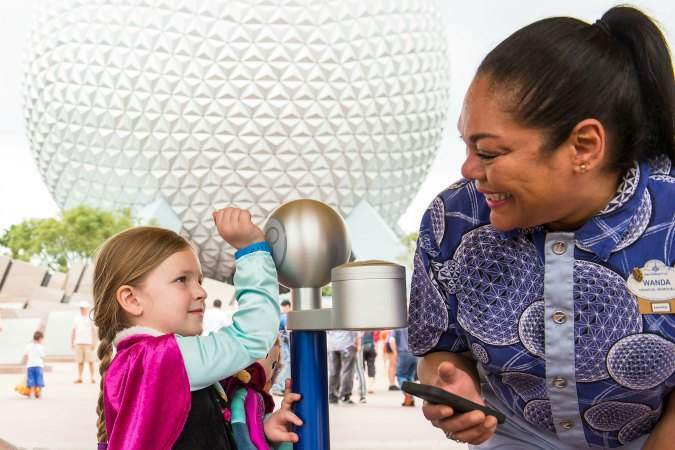 Today we move on to How to Make Your Epcot Fastpass Selections. Choosing your Epcot Fastpass selections gets a bit tricky because at Epcot, and Disney’s Hollywood Studios, there is a tiered Fastpass system in place. At each of these parks you can only choose one Tier One Fastpass and two Tier Two Fastpasses. The biggest decision is which of the four Tier One choices will you make? Frozen Ever After, Soarin’, Test Track, or Illuminations: Reflections of Earth viewing. The holy grail of Fastpasses at Epcot is Frozen Ever After. Almost 3 years after opening, this is still the hardest Fastpass to get in this park. If it is available when I am getting our Fastpasses, I always choose it. I have waited in line for almost 2 hours for this ride…once. If I can’t Fastpass it, we don’t ride it. 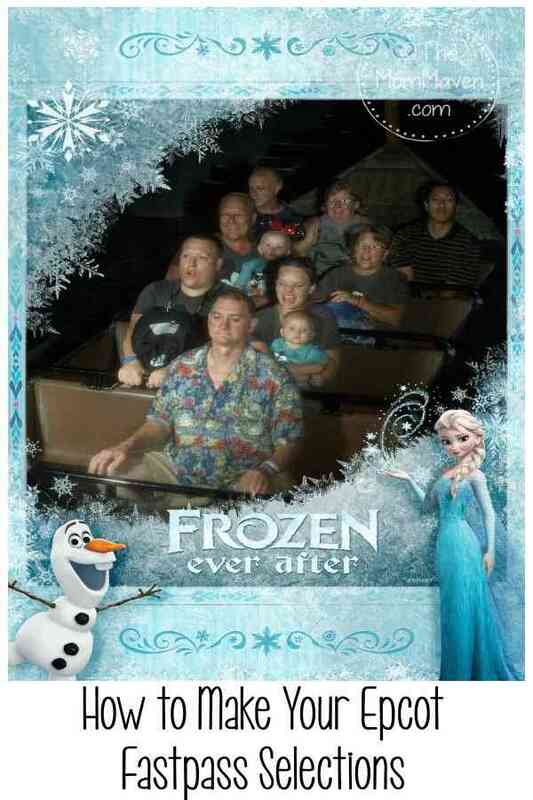 If your family isn’t into Frozen then you need to choose between Soarin’ and Test Track. Soarin’ wait times have decreased since they added the third concourse. 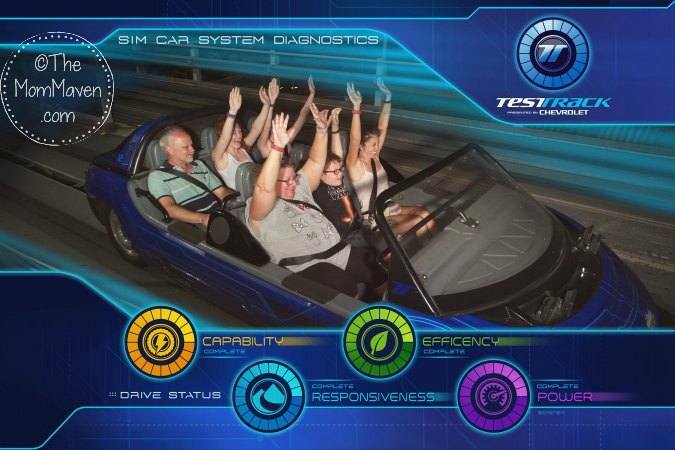 Test Track has a single rider line so that may be an option there. The choice is yours. I wouldn’t use a Fastpass on Illuminations viewing. There is great viewing all over World Showcase. If having the perfect view is that important to you, think about attending an Illuminations Dessert Party. So, now we are left with the 8 other attraction choices for our 2 Tier Two attractions. I’ve been checking wait times this week, during Spring Break and I have found that Living with the Land, Spaceship Earth, Epcot Character Spot and Mission: Space have consistently had 30+ minute wait times. The other Tier Two attractions have had shorter waits. I am often asked what not to Fastpass at each park. Of course, this varies by traveling group and personal preference. I wouldn’t ever use a Fastpass for Illuminations: Reflections of Earth viewing or Disney/ Pixar Short Film Festival. I seldom Fastpass Journey Into Imagination with Figment, The Seas with Nemo and Friends. I hope this post helped you sort out your Epcot Fastpass selections. Don’t forget, if you book your Disney Vacation Package through me, I do the planning with you…for FREE! Just Email Me and we will start planning!